. . . the kingdom of heaven has been forcefully advancing and forceful men lay hold of it.
. . . the kingdom of heaven is forcibly entered and violent men seize it. The fact that there’s divergence among translators provides us with its own warning: difficulty ahead. It’s always a mistake to be rigid, or to make much of a little, on a point based on an obscure and difficult passage. This passage has caused interpretive heartburn for centuries. How can this perplexing Messiah and his suffering way of working in the world fit with this passage? How can He have such absolute confidence in His mission, work, and kingdom at the same time say that the kingdom of heaven is going to suffer violence, and then turn around and seem to say that if you want to apprehend the kingdom of heaven that you allegedly have to take it by force? Literalism – used to justify the use of physical violence, war, persecution, militarism, and imperialism, etc., to advance His kingdom (the just cause/war argument that dates to Augustine of Hippo.). This results in what I find to be a terrifying form of Christian fundamentalism. It sees no problem with Jesus using violence to meet His ends, and has no problem with us helping Him along. I actually had a fundamentalist Christian tell me he would have no problem with killing his unbelieving neighbor if he knew God was asking it of him. I hope this terrifies you as it does me. If you think fundamentalist Islam (Taliban) is the only thing we have to worry about, I urge you, as the saying goes, “wake up and smell the coffee.” The threat is much closer to home than the deserts of a distant land. Spiritualizing – used to justify different manifestations of aggressive “spiritual warfare.” The result of this in my experience has been a form of triumphal dominionism that is weak on love and doesn’t really accomplish much on planet earth. That is because our activities are allegedly in the “unseen realm,” this world allegedly being unreality and the “spiritual realm” is where the real action is. This is scary, anti-incarnational, Docetism, and Gnosticism. Gender Stereotyping – I have heard this passage used as a proof text for an alleged form of spiritual masculinity: the “macho” Christian male. Mark Driscoll was famous for this ethos, and we have seen the fruit of that. The problem is the verse can be read passively (the kingdom suffers violence) or read in the Greek middle voice (the kingdom presses forth violently). Then the following phrase (KJV): the violent take it by force (violent people are trying to wipe it out), seems to present the kingdom as a victim in this world not as a victor. Yet Jesus was supremely confident in the victory of his kingdom. A second difficulty is: Who are these violent ones? Are they the passionate good? Are they the hostile evil? Active/passive/middle voice issues come into play here also and there are about as many opinions on the matter as there are believers. I believe the context, and all of Jesus’ other teaching best support a passive interpretation of a kingdom that suffers violence from those who would oppose it. Jesus’ suffering kingdom succeeds in a way that this world, and frankly we ourselves, have not yet begun to understand. At the local church level in many congregations, there persists to this day, a one hundred-year-old bias against anything academic or scholarly. Some of this bias is rooted in a faulty understanding and application of 2 Corinthians 3:6. Some of the bias is rooted in insecurity. We can be intimidated by someone else’s knowledge when it surpasses our own. It makes us feel inadequate rather than complete together. All my Christian life in the Charismatic brand of Evangelicalism, I have heard scholars and theologians mocked, scorned, and derided: “We don’t need education, we need the anointing,” “Just give us the simple gospel,” is the clamor from ground level charismaticdom. And then there are the well-worn pulpit preacherisms of: theological “cemeteries” (seminaries), and “exit-Jesus” (exegesis). I have always thought it disingenuous for individuals who teach and preach, to mock and downplay scholarship while at the same time availing themselves of the work of scholars in their library, to prepare the messages in which they will denounce education and scholarship! The problem is, we prefer our scholars like our prophets: dead–we can admire them from a distance and not have to deal with the implications of what a living one might have to say. Granted, scholarship does not define the River of Life. The River of Life is wide and deep with lots of room for anyone to swim freely in. However, the River does have boundaries. Theology and scholarship define the safe boundary banks and the quality of the water. Good theology makes sure the River of Life does not get overrun with spiritual algae and other harmful doctrinal microbes and parasites. Good theology is like maintaining train tracks. Without track maintenance, and individuals skilled in recognizing weaknesses in the tracks, the best train in the world, full of the most loving and sincere people in the world, will inevitably end up in the ditch in a pile of human carnage. It’s also true that the gospel is so simple that a 4-year-old can know Jesus. But that’s not the same as accurately understanding Scripture and presuming to teach others from it. In Charismatic America, anyone with an 8th grade education, the Bible under his/her arms, and the “anointing” is considered to be automatically equipped to preach. This is precisely the reason that Charismatic churches across the country today are relational and doctrinal train wrecks of neo-Gnosticism. Moulton and Milligan’s eight volume, Vocabulary of the Greek New Testament, is an excellent resource. I have a copy myself. They spent 15 years compiling it. However, as good as it is, it does not have entries for 17% of the words in the New Testament! Of the words they did include 800 had no documentary evidence to support their definitions. The work was actually out of date before it was published! Thousands of papyri fragments have been discovered since their noble effort with thousands more coming to light each year. All these new discoveries shed light on the Scriptures, and Matthew 11:12 is one such beneficiary. The little Greek word that causes so much trouble and gives the connotation of violence is bia. Recent discoveries and developments in papyrology have confirmed beyond all doubt, that the word was used at the time for “illegal forcible acquisition.” It was a technical legal term referring to the act of hindering an owner or lawful possessor from the enjoyment of his or her property. The use of actual physical force is not required. It is a term denoting infringement of rights, not necessarily physical violence. From the time of John the Baptizer until now, heaven’s realm is being used or even robbed by people who have no legal right to it. This stops those who do have a legal right to it from enjoying their own property. Well, now! That makes sense! Think of it contextually. In the passage Jesus is talking to the multitudes and referring to the resistance He and John have been experiencing from the religious establishment of Judaism. John’s ministry marked the end of the old order and the beginning of the new. Things were changing. In the context of Matthew 11 Jesus boldly declares the dawning of the kingdom age. He talks about not being offended by his ministry. The members of the religious establishment were protecting their own interests among the people by resisting and demeaning John and now, Himself. Elsewhere Jesus specifically speaks of the Torah lawyers as “taking away the key of knowledge and hindering those who would enter the kingdom of heaven from entering, as well as failing to enter themselves.” Jesus is announcing that the abusive hegemony over the people of God by the apostate religious establishment is over. Yet, beginning with John, His opponents are still trying to hinder the covenant people from what is rightly theirs. Following the synthesis principle this makes much more sense. This verse has nothing to do with believers “forcefully” taking the kingdom of heaven. The passage is referring to the negative behavior of those who would resist Jesus. It is not an encouragement to the followers of Christ to “be more aggressive,” and it certainly is not a proof text to justify violence. We all don’t have to be scholars to prosper and be effective in Christ’s kingdom. Jesus made it pretty plain: Those who obey will know the “doctrine,” not those who go to school. The cross is the revealer of things pertaining to the kingdom of heaven, not the notebook. However, safety says if we are called to preach and teach, and are not ourselves inclined toward scholarship, relating to someone who is, will likely be critical for overall spiritual health and wellness. At times yielding to him or her, in proportion to the significance of the issues at stake, could make the difference between ministering life or death. Well-meaning ignorance is as deadly as arrogant scholasticism. Scholars are a needed part of the whole and should not be derided as inherently “unspiritual.” They have a portion allotted to them in the kingdom. They are valuable contributing members, just like everyone else who needs their ego crucified to be worth anything. We are complete—together. I am thankful for the labors of scholars who help the rest of us make sense of difficult passages like Matthew 11:12! The New Greek English Interlinear, United Bible Society, 4th Edition with the New Revised Standard version. Based on these translations, was not Simon Peter just obeying the Lord by being a violent man trying to take the kingdom by force when he lopped off the ear of Malchus (John 18:10)? Of course not. Jesus told him to put the sword away. These translations, and their typical applications just don’t hold water. The above is adapted and condensed from Frederick Dale Bruner: Matthew: A Commentary, Volume 1, Eerdmans: Grand Rapids, 1987, 512-514. Bibliolatry: The worship of the Scriptures rather than the Person of Christ. This flimsy red herring of an accusation is frequently raised against anyone who is serious about the Scriptures. God’s Word and His Spirit are not in competition, though you would never know it in some churches. We all should know that no one except God has perfect understanding. Doctrinal accuracy may be in a spectrum. 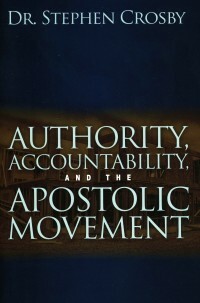 There is room for divergent opinion on non-core apostolic doctrine within the kingdom family. Nyland, Ann, Papyri, Women, and Word Meaning in the New Testament. Priscilla Papers, Volume 17, Number 4. 2003. In the last 20 years, 4,000 papyri have been discovered in Ephesus alone! Nyland, 2003. “A reed shaken in the wind” . . . Jesus was likely referring to derisive commentary in the community, whose source was the religious establishment. He is throwing the “community gossip” back out to them. John is more than what they have been told by the religious establishment. Luke 11:52. Contextually this is confirmed as Luke 11 follows chronologically upon John 10 where the Jews have just threatened to stone Him for claiming God as His Father, by inference, claiming equality with God. John 10:29-42. These are the people He is referring to in Matthew 11:12. John 7:17. Doing God’s will opens understanding into Christ. Hi Murdock, they all have strengths and weaknesses. I have used the KJV my whole life, mostly because I was raised on it, but I know where it is weak, and sometimes, flat out wrong, and I do my own study from original language resources. For ease of understanding and “punch” in modern language, I love Eugene Peterson’s The Message, but I understand it is a paraphrase. For study, I do my own research. On the things essential, any translation will work. It is when we presume and assume to teach others “from the Bible,” on “this or that issue,” that we need to do our own original language, culture, and context studies. I have struggled over that scripture for years. What life and clarity you bring. Thank-You, Joey, spread the good news for me by referring others here for whom the article might help. I love this clarification! Our pastor throws this scripture out there every once in a while and it never sits well with me. The idea that we take the kingdom of heaven by violent force just doesn’t gel with anything else Christ did or said regarding the kingdom. I’m thankful for people like you who promote study and encourage people to test the spirit behind the message. We have a responsibility to not swallow everything we are fed without knowing all the ingredients. God bless you brother! Thanks, Sandy. I trust you are well. Sandy, I did not know you were out of AK. Where are you? We are in the suburbs of Charlotte, NC and loving it. Great blog. I came to the same understanding thru a “back door” if you will. The O.C. Still in force, the Kingdom “entrusted to Israel”, the violence of wicked men have stopped the people of a relationship. John B. Pointed to the one who would lead in a new way. Insightful! Even with not understanding the passage fully I never took it to condone physical violence. I always thought is was the natural/spiritual resistance toward me from experiencing kingdom reality. I needed to be alert and vigilant to apprehend the inheritance Christ purchased for us by the cross. Appropriation of Eph 6. Anyways, very interesting. Thank you.